DOmedia LLC, which bills itself as the leading software platform provider for planning and buying out-of-home advertising (OOH), has joined the DPAA. A DPAA-sponsored feature, by Mark Braff. Rouge Media operates networks of digital screens on college campuses, in beauty venues and restaurants/bars in North America. Rouge Media’s screens reach millions of people on their daily journeys out of home, helping major international brands to connect with these consumers. 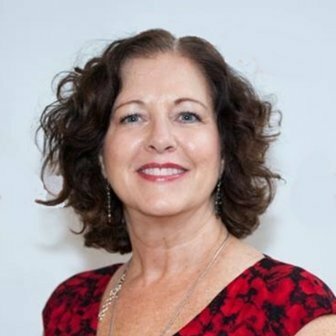 We spoke recently with Rouge’s Alison Jacobs, EVP North America, about her company. Mark Braff: Tell us about your network. In what types of venues/places do you have screens? Peoplecount, a Toronto-based, award winning research firm and innovative third-party supplier of audited out-of-home circulation data, recently joined the Digital Place Based Advertising Association. Peoplecount has developed circulation measurement models for many types of non-traditional out-of-home media. Many of Peoplecount’s models have been approved by auditing bureaus such as the Traffic Audit Bureau (TAB) and the Canadian Outdoor Measurement Bureau (COMB). The company also provides in-depth audience insights and campaign effectiveness research to out-of-home advertising and digital signage networks. Peoplecount recently launched its Placescount Wi-Fi analytics service for place-based media metrics. We chatted with Kelly McGillivray, the company’s president and chief methodologist. Mark Braff: Tell us about Peoplecount and its role in the digital place-based media sector. Kelly McGillivray: Peoplecount conducts both pre-packaged and custom audience metrics and campaign effectiveness research for traditional out-of-home advertising and place-based media. The company was established over 20 years ago in Toronto, Canada. Our metrics are always location-based and comprise both quantitative and qualitative research. We are technology agnostic, using third-party measurement tools and techniques to best fit the location and desired metrics. We have used video counting, Wi-Fi analytics, beam counters, surveyors and stealth observers, often combining on-site observations with modeling. 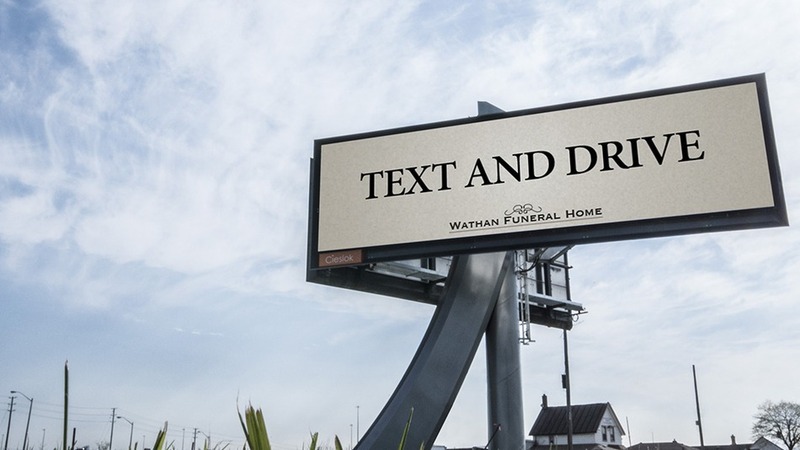 Out-of-home advertising company Cieslok Media and Montreal ad agency john st. launched a fake funeral home billboard campaign promoting “text and drive”. The advertisement, located on one of Toronto’s busiest throughway, the Gardiner Expressway, will surely not be missed by commuters. The message from the fake funeral home, meant to get a reaction, blatantly encourages drivers to text and drive with the assumption of increased business for the funeral home. The ad is designed to get people to think of the real consequences of texting and driving. Save the date: the Video Everywhere Summit will be held on October 27, 2016 at the historic Roosevelt hotel in New York City. Video Everywhere Summit is organized by the Digital Place Based Advertising Association (DPAA) and is the largest annual event dedicated to Multi-screen viewing, Video Neutral Planning and the role of Digital Place Based media in today’s fast evolving media ecosystem. OAAA presented the 2016 OBIE Awards last month to the best of the best in OOH design in 2015. While the winners were recognized for creativity and beauty, the campaigns were also exceptionally effective. Sukle Advertising took home a top honor for its work for Denver Water. For the last 10 years, Denver Water has stressed to locals that water is a valuable resource and should be used conservatively. The campaign has earned Exceptional OOH Creative Yields Exceptional Results OBIE recognition eight times in 10 years. View all 10 OOH campaigns by Denver Water. The 6th international conference “Digital Signage – no alternative!” will be held on the 27th of May, 2016, in Moscow. Every year top managers, marketing and business development executives from retail, shopping malls, banks, hotels, QSR and other verticals meet with professionals of digital signage and digital out-of-home (DOOH) industries to discuss the latest projects, trends of the industry and new products. Microsoft, Andrey Pachikin, Industry Market Development Manager with concept of retail’s future: How new Digital Signage technologies will change the way of shopping. Invidis consulting, Florian Rotberg, Managing Director with overview of Digital Signage market, case-studies and trends. Russ Outdoor, Dmitry Gribkov, Director of Marketing and Sales department with latest case-studies and overview of DOOH market in Russia. NEW YORK – PATTISON Onestop, a Digital Out-of-Home (DOOH) advertising company in Canada, has joined the Digital Place Based Advertising Association. DPAA members help brands connect to consumers on-the-go and at targeted locations. The organization has grown its international membership base in recent years through its thought leadership, global education initiatives and ad revenue-generating models.